MINI will launch a brand new version of its Connected phone app which simplifies the interface, adds a host of natty new features, and generally makes MINI drivers feel like they’re as funky and cutting edge as can be. 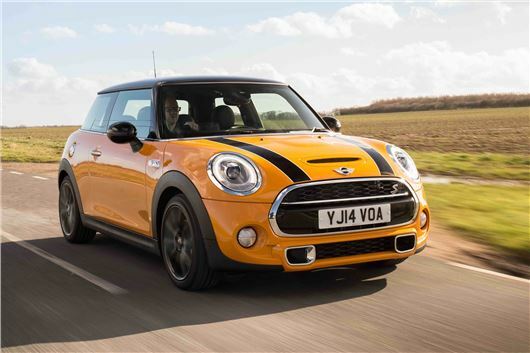 The headline new feature is called MINI Streetwise, which lets drivers use their smartphone to pre-plan their journey, using past driving data and live traffic information to make sure it’s the most efficient or quickest route possible. Another thing that forgetful MINI owners will be able to do is locate their car using their smartphone, but also track how much fuel is in it, its range plus the last journey it did. And once they’re in the car, a new Sports Instruments and Force Meter app can be displayed on the central media display to show revs, torque, engine output and temperature, as well as acceleration force, both lateral and longitudinal. There’s a function to send addresses to the navigation system directly from a smartphone, and there’s a calendar, which will send appointments and ‘to do’ items to the car’s display screen, like a very fancy Post-It note. The new Connected app can be downloaded from the Apple iTunes store or Google Play from mid August.